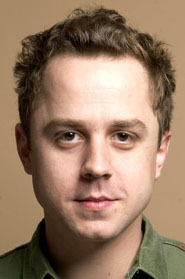 Giovanni Ribisi has been acting since the age of 9, thanks to his mother, a well-connected talent agent. At 10 Ribisi made his first appearance on TV, on an episode of Michael Landon's Highway to Heaven. At 13, he played the daughter's romantic interest on the saccharine sitcom My Two Dads. His other teenaged TV appearances included The Wonder Years, Married With Children, Blossom, and Davis Rules. His first film was a 1995 horror piece, Mind Ripper, but his more famous films include Cold Mountain and Sky Captain and the World of Tomorrow (featuring Laurence Olivier reanimated through technology). Ribisi's better films include such offbeat, quirky gems as Richard Linklater's SubUrbia, David Lynch's Lost Highway, and Sofia Coppola's Virgin Suicides and Lost in Translation. His schlock includes Kevin Costner's megaflop The Postman, and the ill-advised remakes of The Mod Squad and Flight of the Phoenix. His mother and wife are Scientologists, as is Ribisi. His twin sister, erstwhile actress Marissa Ribisi, is married to musician Beck.